All Android One phones come with a promise of regular updates and here we have listed the top five Android One phones based on their specifications. Google’s Android One project has swiftly become a standard among Android phones. While there are phones that battle it out on the spec-sheets, the Android One phones may not be as spec-heavy but more than make up for it with pure, stock Android reinforced with the promise of regular updates. 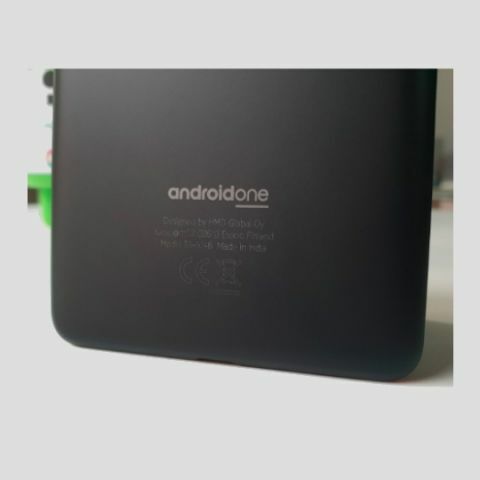 The Xiaomi Mi A1 last year opened the floodgates to Android One phones, and since then there have been a bunch of phones with stock Android and Google’s Android One logo on it. What’s common between all the Android One phones launched this year is the fact that all the phones will be getting the update to Android 9.0 Pie as well as Android O, whenever it releases. In fact, phones like the Nokia 7 Plus are already running the latest version, being among the first few phones to do so. Android One phones are reliable, functional and more importantly, are longer lasting than other Android phones with the promise of regular updates they brings to the table. Android One phones come with Google’s latest OS built-in, which auto-adjusts to your needs and help you get things done more efficiently. They are light on pre-loaded apps, bring optimised battery life. With that in mind, here are the best Android One phones you can buy in India right now. The Xiaomi Mi A2 is one of the best Android devices you can buy in the mid-range segment, and it’s also the best Android One device out there right now. With a sleek form factor and a dual-camera setup that can give more expensive phones a run for their money, the Mi A2 is easy to recommend. It runs a clean, unmodified version of Android 8.1 Oreo and the Android 9.0 Pie update for the phone has already rolled out to present users. The Mi A2’s only weak point is its battery. With a 3,000mAh capacity, it can only last around a day under moderate usage. Click here to buy. The Nokia 8 Sirocco is right now the most expensive Android One phone you can buy. Nokia announced at MWC this year that all it’s phones from now on will be Android One certified and leading the way was the Nokia 8 Sirocco. It’s a minor bump from the Nokia 8 last year in terms of the hardware under the hood, but its design is something many might fancy. It features a 5.5-inch P-OLED display that curves along the edges to meet the body. The phone also packs a Snapdragon 835 SoC along with 6GB RAM and 128GB storage. It also features a dual camera setup that works to offer good photos, Click here to buy. The Nokia 7 Plus was the Nexus Google never made. For the price of Rs 25,999, you get a 6-inch display in the 18:9 aspect ratio and a design that is easily recognisable as a Nokia. With thick copper accents along the sides and around the camera, the Nokia 7 Plus not only looks good from the inside (thanks to Android One), it also looks quite stunning from the outside. There’s also Zeiss branded dual-cameras on the back that can take some fantastic shots in daytime and manageable ones at night. It’s also great to use and for the time we had the phone for testing, it never slowed down one bit. The Nokia 7 Plus has received the update to Android 9.0 Pie already and was one of the beta-testing phones for Android 9 Developer Preview. It’s one of the phones to get if you want to be on the latest and best version of Android. Click here to buy. The Moto One Power is the newest to join the crowd of Android One phones. Moto has been offering stock Android on its phones for quite some time now but it’s bad history of updates made Moto switch to Android One. The Moto One Power is yet to live up to the promise of the certification but the Moto One Power runs on a competitive Qualcomm Snapdragon 636 coupled with 4GB RAM and 64GB storage. There is a dual camera unit at the back that can take decently good photos but we weren’t really impressed by it. On the other hand, it feels quite fast and snappy and with a 5,000mAh battery, it’s one of the longest-running phones in the mid-range segment. Click here to buy. It’s not surprising that Nokia features heavily in this list as it consistently releases the most number Android One phones. The Nokia 6.1 is a well-rounded, affordable Android One phone with a 5.5-inch 16:9 display and a robust, differentiated design. There is a single camera on the back with Zeiss branding and is powered by the older, but reliable Snapdragon 630. Its claim to fame is not just the clean, unmodified Android interface, but also the 5,000mAh battery it packs under the hood. Click here to buy.